The Russian military has successfully performed a scheduled test launch of the RS-12M Topol intercontinental ballistic missile, the country’s Defense Ministry said. The launch of the intercontinental three-stage ballistic missile (ICBM) was carried out from Kapustin Yar testing ground in the Astrakhan region. The dummy warhead hit its target at a test ground in Kazakhstan, Defense Ministry spokesman Igor Yegorov told RIA Novosti. “The aim was to test an advanced battle equipment for the intercontinental ballistic missiles,” the ministry stated. 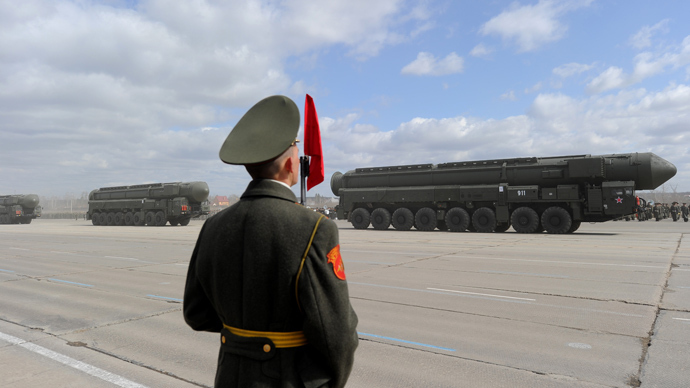 Russia informed the United States ahead of the ICBM test - and even before the latest Russian military moves in Crimea - a US official told Reuters. The White House confirmed that the launch was “routine” and that the United States had advanced notice. Such prior notification is required under the nuclear arms treaty between the two nations. Since 2007, Topol has been repeatedly tested in order to allow for the extension of its current service life, which was recently extended to 25 years. Its initial service life was only 10 years. 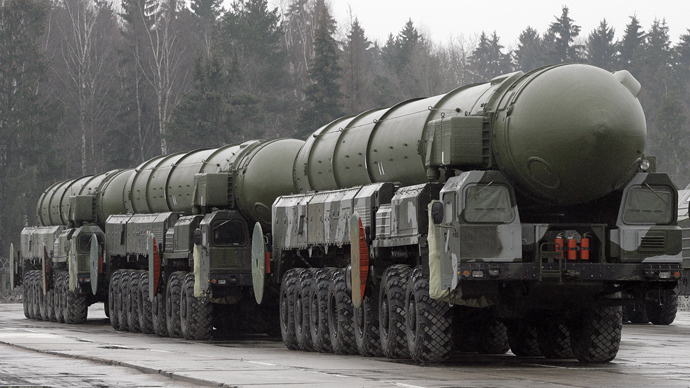 In 1998, RS-12M Topol became the first Soviet mobile ICBM to be successfully entered into service. Defense Ministry stressed that Kapustin Yar range is “a unique” facility for testing battle equipment for intercontinental ballistic missiles. “Only it provided the test routes and the polygon measuring complex, which allows testing [of] advanced battle equipment capable of bypassing the anti-missile systems, including those with advanced configuration,” the ministry said.